As already it was coming last month, this month, Android 4.4 (KitKat) is already the third version used, being already installed in the 17.9% of devices. Last month was the fourth version more expanded with 13.6%. KitKat version having more growth in recent months, something completely normal to try the latest version officially launched. 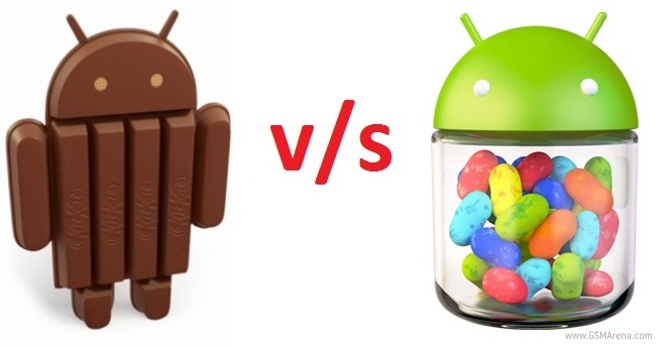 The first version of the most widely used is still Android 4.1 (Jelly Bean) with 27.8% (formerly 29%) followed by the 19.7% (formerly 19.1%) of Android 4.2 (Jelly Bean). The fourth version of the most widely used now is Android 2.3 (Gingerbread) with 13.5% (formerly 14.9%). Fifth place already encountered again Android 4.0 (Ice Cream Sandwich) with 11.4% (formerly 12.3) followed by Android 4.3 (Jelly Bean) with 9% (10.3% before) and Android 2.2 (Froyo) with 0.7% (formerly 0.8%). At this rate probably next month of August Android 4.4 to become the second most widely used version, narrowly beating Android 4.2.